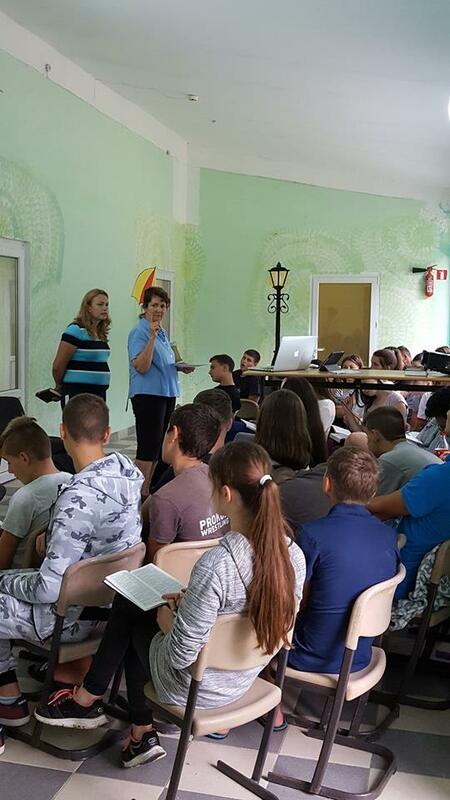 This summer I invited youths and children to the PIEI camp, and I am glad that several youth accepted my invitation and went to camp. We prayed for them and for the all the youth who were at camp to be touched by the Holy Spirit. Great was our joy when on Friday night more than 50 youths came in front to repent; among them were two youths from Vanchikauts. On Sunday after camp they came to church and brother Cornel Stef and Daniel Petruts prayed for them and blessed them by putting their hands. They started to come regularly to church and we gave them Bibles. They are neighbors and live not far from the house where sister Zina lived. Their grandparents used to come to church but they haven’t accepted the Lord. We believe that these grandchildren will bring their parents and grandparents to church. We praise the Lord for the answer to our prayers and pray Him to work through these boys and change their families. I continue to struggle with the disease I have and the only thing I ask God is to strengthen me so I could preach to people as long as I have the opportunity to do it. I pray for all people in Vanchikauts, Fagadau and Tarasauts as well for my relatives, all to repent. Thank you for support. May the Lord reward you! Please, continue to pray for me!